When it comes to cooking, I tend to have a flair for drama, and when I don’t have everything at my disposal to pull off an amazing meal plan, I usually hit the fast food joints. This weekend my sister-in-law Michole reminded me that meals needn’t be elaborate to be successful. “A meat, a veggie, and rice…” she said. It sounded so simple, and if I’m spending my time in the kitchen, I don’t like my results to be simple. But who am I kidding? I’m no Paula Deen! 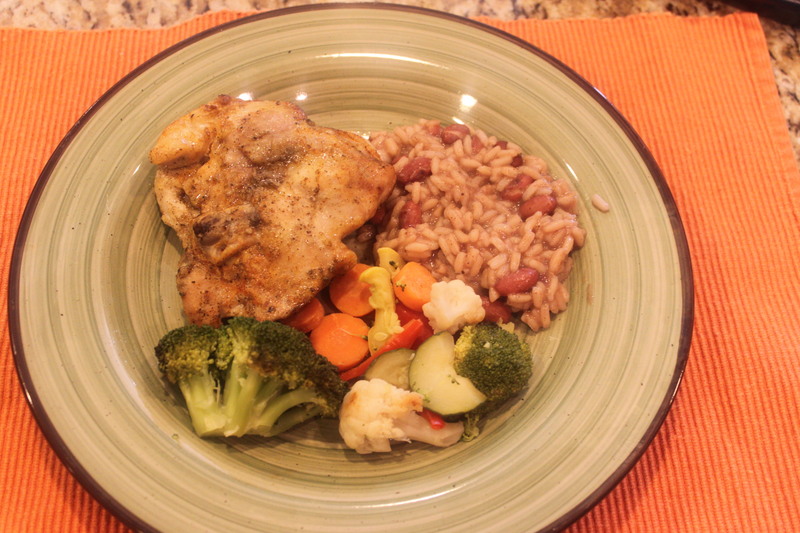 I followed Michole’s advice for dinner tonight – roasted chicken, steamed veggies (slightly burnt! ), and a can of Glory red beans & rice. It was delicious, didn’t take long to prepare, and I don’t have that guilty feeling I get when I serve the girls Chick Fil-A. I have to do this more often!